The 24th Winter Cup at South Garda Karting sets the stage for the Leonardo Marseglia’s debut in KZ2 with the Red Army from Lissone. Another season is about to start, but this season Leonardo Marseglia will have more new stimuli: new team and different category for him! After the first full season in OK, Leonardo decided to step up to shifterkarts for the forthcoming season. After a lot of testing sessions, the Ostuni’s driver decided to wear the red-white suit to represent the factory from Lissone: the Ronni Sala’s BirelART. The racing program foresees the CIK-FIA events alongside some WSK-promoted races and the Italian ACI Sport Karting Championship. 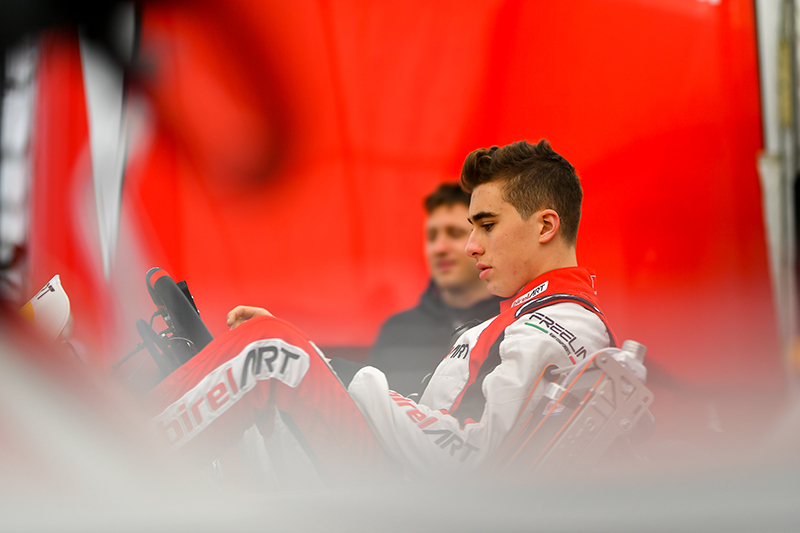 Leonardo will join other two Apulian drivers: Alex Irlando in KZ and Luigi Coluccio in OK. The traditional appointment in Lonato, the Winter Cup, will get the 2019 season underway. With more than 90 drivers, the KZ2 will be the race to watch and the toughest one. Here is the time table for the event.